Articles: Group History for BADRI AUTO SERVICES (P) LTD.
B N Group Started in the year 1930 as a humble spares parts retail business grew from strength to strength and became a leading business house in Automobile arena. Presently the business consists of Agricultural Tractors, implements & Lead Acid Batteries, UPS & Inverters. Business are run under different trade names under the umbrella of Badri Auto Services Pvt Ltd..
B N Auto Services - Dealer for tractors since 1985. In the year 2017 we were appointed as authorised Dealer for Japan's No.1 Tractor - KUBOTA. 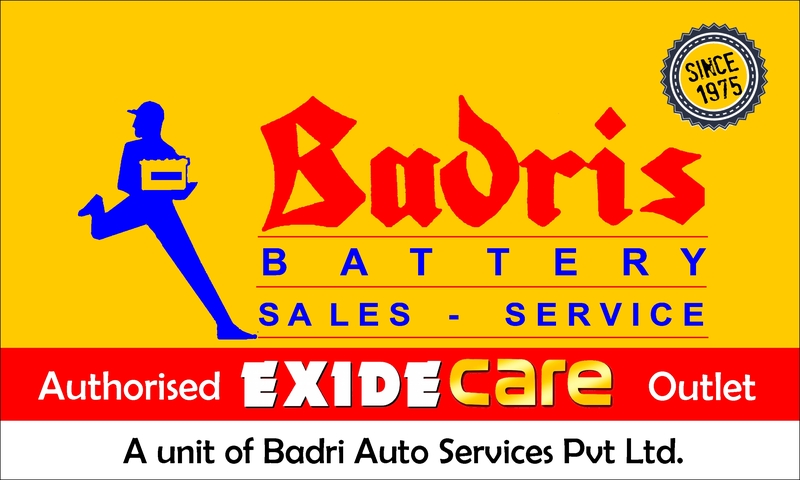 Badris Battery Sales - Service is dealing exclusively in batteries & its services since 1975. Presently is an authorised EXIDE CARE outlet.